EVICLEAR WRAS Approved 1/2" Clear PVC Slip Tee. Designed to take 1/2" Pipe - which has an outside diameter of 21.4mm. EVICLEAR WRAS Approved 3/4" Clear PVC Slip Tee. Designed to take 3/4" Pipe - which has an outside diameter of 26.7mm. 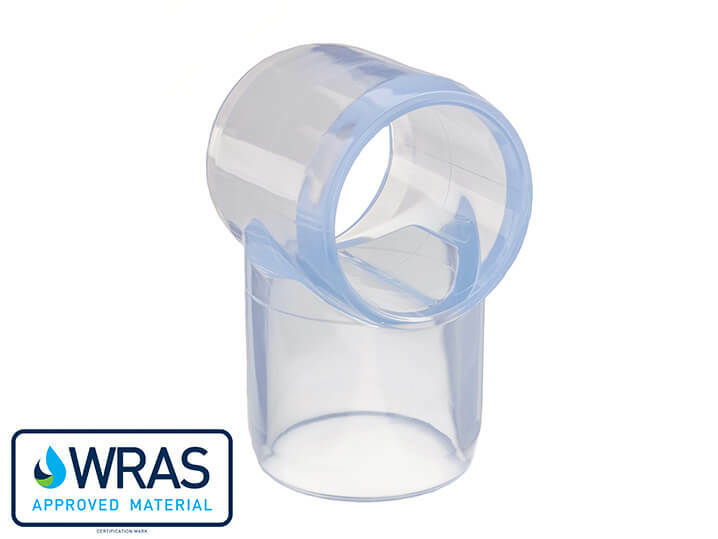 EVICLEAR WRAS Approved 1" Clear PVC Slip Tee. Designed to take 1" Pipe - which has an outside diameter of 33.4mm. EVICLEAR WRAS Approved 1 1/4" Clear PVC Slip Tee. Designed to take 1 1/4" Pipe - which has an outside diameter of 42.2mm.